Trailing by 20 points with 6:44 left, the NIU women’s basketball team (5-8, 1-2 MAC) clawed back to within five points of Bowling Green (8-7, 1-3MAC ) with 1:46 left in regulation. Though the Huskies had five players score in double-figures, it could not complete the comeback as they fell to the Falcons, 65-59. 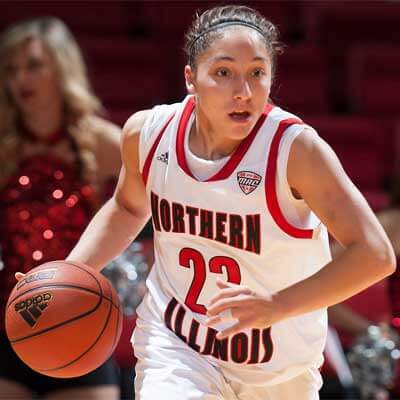 Amanda Corral (Hobart, Ind./Hobart) led NIU in scoring with 14 points while Renee Sladek (Merrill, Wis./Merrill) led in rebounds with eight, adding 10 points. Ally Lehman (Nineveh, Ind./Indian Creek) scored 12 points while Danny Pulliam (Indianapolis, Ind./Pike) and Jenna Thorp (Hinckley, Ill./Hinckley-Big Rock) each finished with 10 points. It was the second time this year NIU had five players score 10-or-more points in a game. The Huskies accomplished the feat versus Eastern Michigan in the Mid-American Conference opener Jan. 3. “When we play like there’s nothing to lose, we play free. We need to figure out how to play fearlessly for the entire game,” said head coach Kathi Bennett. “We have 15 games left to play like we did in that final 15 minutes and that’s our goal. NIU got on the board first as Pulliam worked through the Falcon paint on a pick roll, sinking a layup and drawing a foul for a chance at a three-point play at the 16:35 mark. After converting at the charity stripe, the Huskies started the game with a 3-0 lead. Bowling Green and the Huskies would go on to trade the lead five times in the first half as the Falcons finished with a 24-17 lead. BGSU took the final advantage of the game as it went on a 9-0 run to capture a 19-12 lead. Corral broke the run with her second three-pointer of the half and lift NIU within four points, 19-15. BGSU’s Miriam Justinger led the Falcons in the stanza with nine points. Both Northern Illinois University and Bowling Green combined for three points off the bench in the opening frame. After a slow start, which led to a 20-point deficit with 6:44 left in regulation, the Huskies closed the gap to within five points with 1:46 left as Pulliam stole an in bounds pass and laid it off the glass to enter double-figures in the game. NIU continued to score baskets in its rally but the Falcons added 12 points from the free throw line in the second half of play. Offensively, the Huskies were 15-for-36 (.417) shooting in the final 20 minutes, including three shots from behind the arc. The Huskies 42 points in the period tied for the most in a stanza in 2014-15, last scoring 42 at Bradley on Dec. 30. NIU outscored the Falcons in the half, 42-41. Pulliam, Lehman, Sladek and Thorp, who combined for five points in the first half, all reached double-figures late in the second stanza as the four players joined Corral with 10-or-more points in the game. Both Lehman and Sladek scored all of their points in the second half. The NIU defense allowed the Falcons to shoot 10-for-16 in the first 13 minutes of the second, before only allowing them to shoot 2-for-8 in the final seven minutes. Second chance points and points off turnovers were key in the Huskies comeback as NIU outscored Bowling Green 10-2 on second chance efforts and 18-8 off of turnovers. With her assist at the 4:26 mark in the second half, Corral became the 21st player in NIU women’s basketball history to record 200 assists in her career. 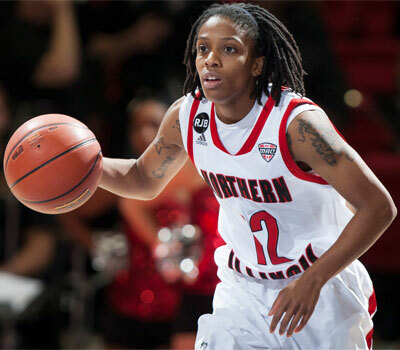 She also became only the 11th player in NIU history to total 1,000 points and 200 assists in her career. The senior finished with 14 points and two assists. 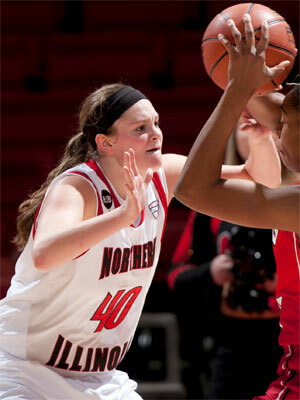 NIU will return home Saturday afternoon as it hosts Kent State at the NIU Convocation Center. Tipoff is set for 1 p.m. Central. The game will mark Alumna Day at Northern Illinois University.